Star Wars Pinball's first three tables—The Empire Strikes Back, Boba Fett and The Clone Wars—will release next week on a slew of mobile and console platforms. Pricing and release dates are different for all of them, so pay close attention. First, PlayStation 3 and PlayStation Vita gamers may also buy the set of three for $9.99 (€9.99 in Europe) as DLC for the Zen Pinball 2 game available in the PlayStation Store. The set comes with cross-play entitlement, meaning the same purchase is good for PlayStation Vita and PS3. North American PS3 and Vita customers get the set on Feb. 26; it releases in Europe on Feb. 27. On Feb, 27, The tables will be available in a pack of three for the Xbox 360's longstanding Pinball FX2 game. The set is 800 Microsoft Points ($10). The tables also are available on Feb. 27 a la carte for those with Zen Pinball 2 on the Mac App Store (where they are $2.99 each) or Zen Pinball on the iTunes (iOS) App Store ($1.99 each). Android devices with Zen Pinball HD can buy the tables for $1.99 each on Google Play beginning Feb. 27. 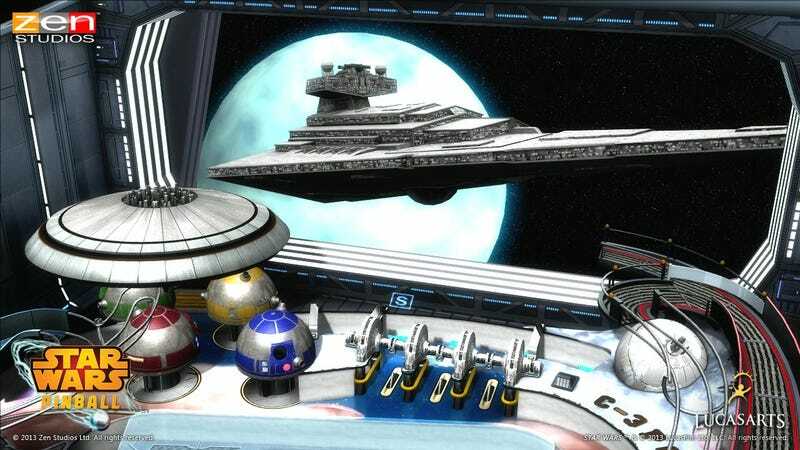 The series will also be available as a standalone app on the iTunes App Store and Google Play, as Star Wars Pinball. Notably, there is neither a Wii U nor a 3DS release. Zen Pinball just released will release for Wii U on the Nintendo eShop later this month. It's been out in a standard-definition form on the Nintendo 3DS for more than a year. A total of 10 Star Wars Pinball tables will be released. Themes for the remaining seven have yet to be announced.